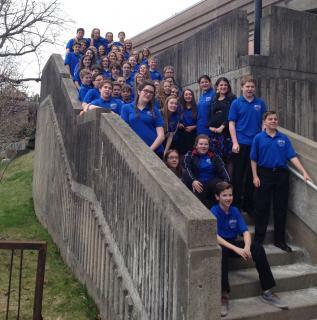 The EB Chandler Junior High Grade 8 Concert Band attended the Atlantic Festival of Music in Halifax at the end of April. Conductor Kaitlin Conrad and her 48 member band performed three pieces at the festival and received a silver standing for their performance. Congratulations to the EBC Grade 8 Concert Band!